L: 31 x 16 x 17 cm/12.2 x 6.2 x 6.69 inch. clean:Wipe gently with a damp cloth. Tip: If there is any problem, you can contact us directly and solve the problem without hesitation until you are satisfied. We will provide you with the best service. General Applicability: Used as a wallet organizer, handbag organizer, diaper bag organizer or desktop organizer. Rugged yet lightweight, structured bags and thick felt cloth protect the contents of the bag. For a variety of styles handbags, keep the shape of the handbag and boat shape. 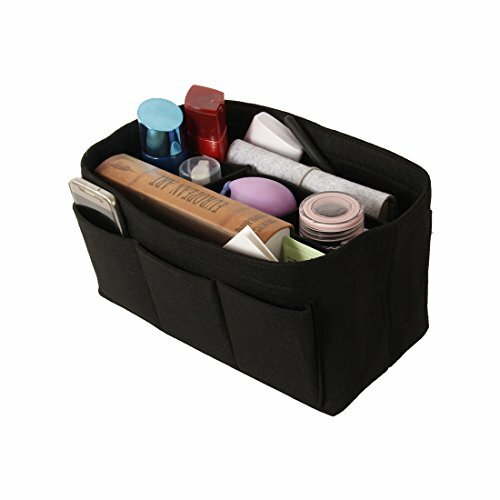 Store all accessories in this multi-pocket tissue machine to easily change wallets and duffel bags throughout the day without having to reorganize. If you have any questions about this product by CBZ, contact us by completing and submitting the form below. If you are looking for a specif part number, please include it with your message.